Cover Reads: He Says He Will! Sometimes the course of true love needs a helping hand - over the mouth. 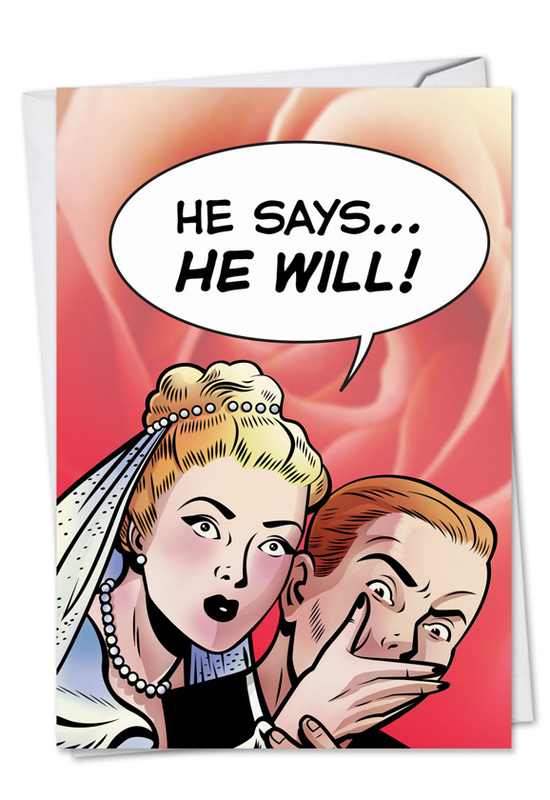 The pretty blonde bride on this funny, rose-petaled Wedding Card is taking no chances with her redheaded groom giving the wrong answer when it counts for all the nuptials. Say 'Heard you said 'I Do!'' 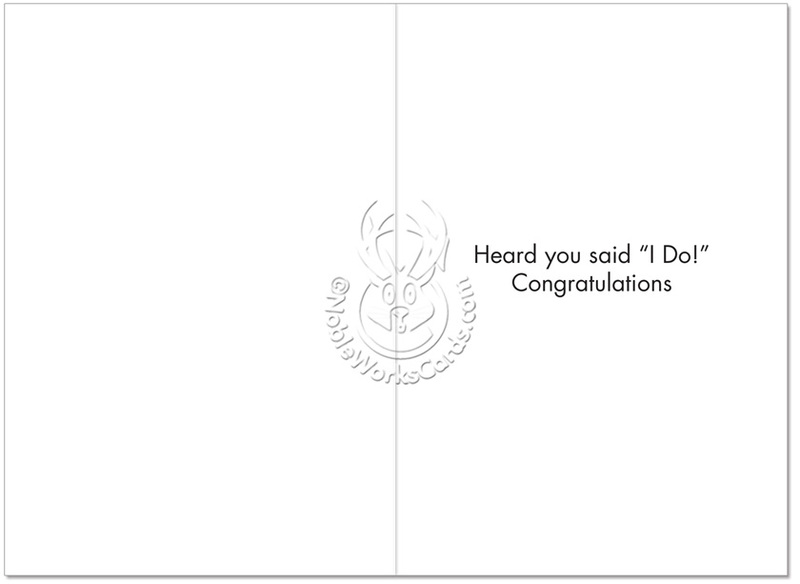 by handing out this hilarious, yet strangely realistic, Wedding Card. Greeting: Congratulations To A Delicious Couple! Greeting: Congratulations On This Touching Occasion. 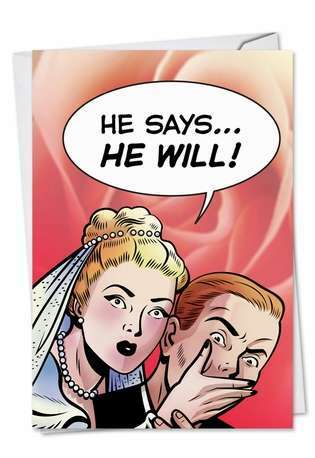 Greeting: Hope Your Wedding Is Second-To-None. Congratulations! Greeting: For Better Or Worse Stuff, Congratulations! Greeting: You're A Picture-Perfect Couple. Congratulations! 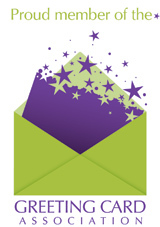 Greeting: Update Your Facebook Status. Congratulations On Going From Like To Love. 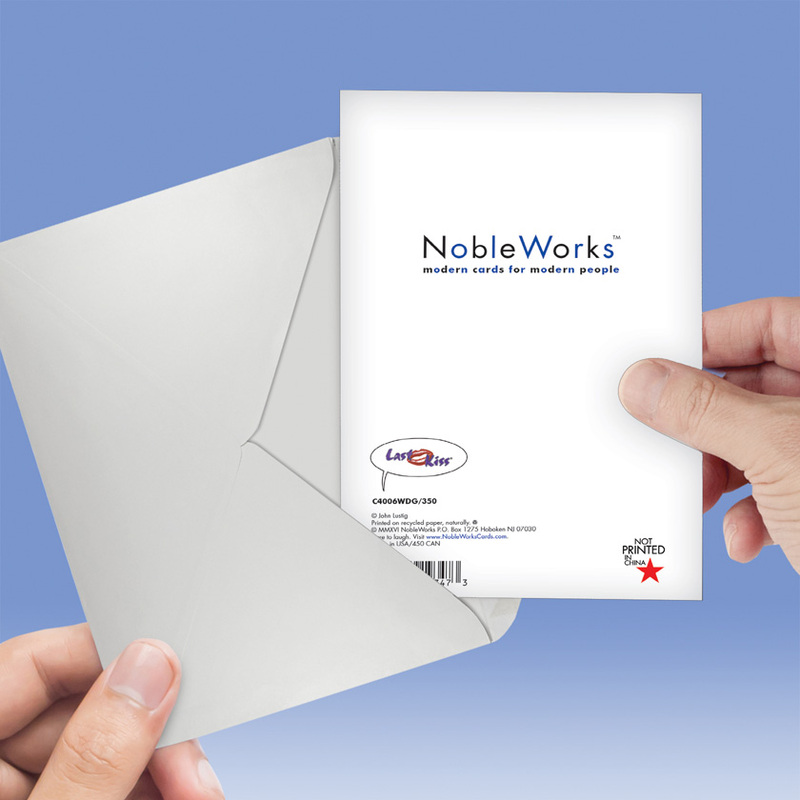 Greeting: Congratulations On A Perfect Match. Greeting: Congratulations To The Happy Couple! Greeting: May This Special Day Be A Wondrous Celebration Of A Love That Is Not Only Burning, It's Flaming! Congratulations! Greeting: Well, Which Is It? Just Kidding! At Least Now You Can Do Both! Congratulations. Greeting: Best Wishes And Many More! Greeting: Congratulations To You Both!